Air connects your mind and your soul. 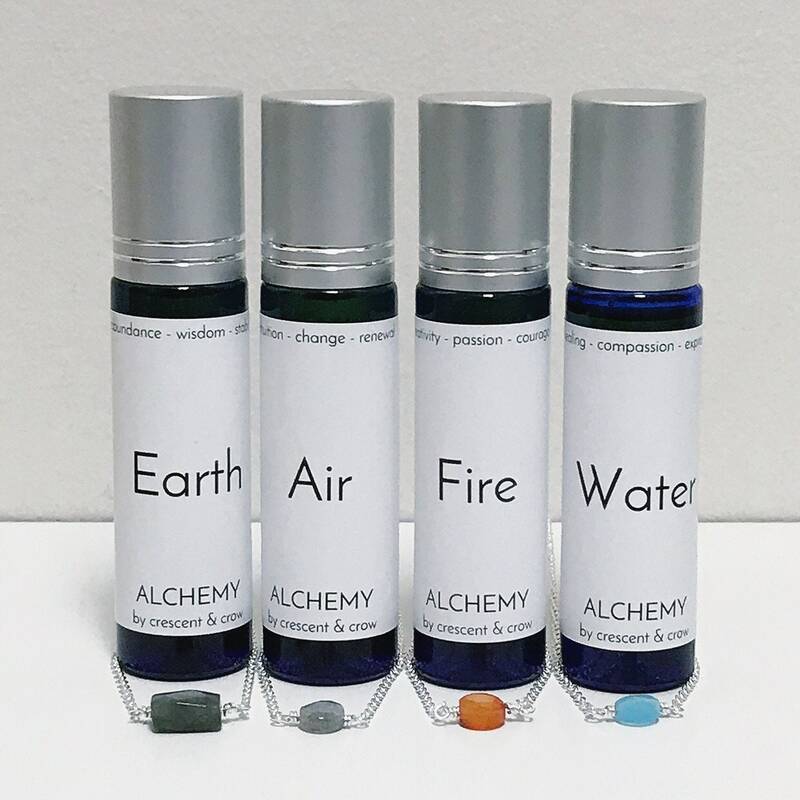 Like a breath of fresh air - This set is for those who want to release blocked emotions, connect to intuition, and expand consciousness; to renew and reconnect with yourself. 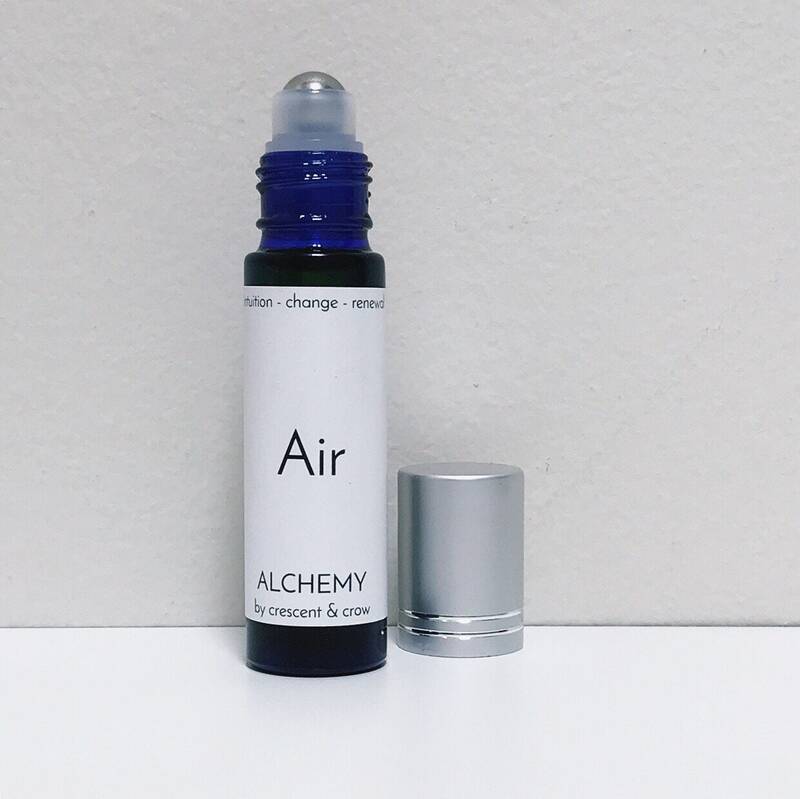 Aroma: light, herbal, fresh, slightly sweet. 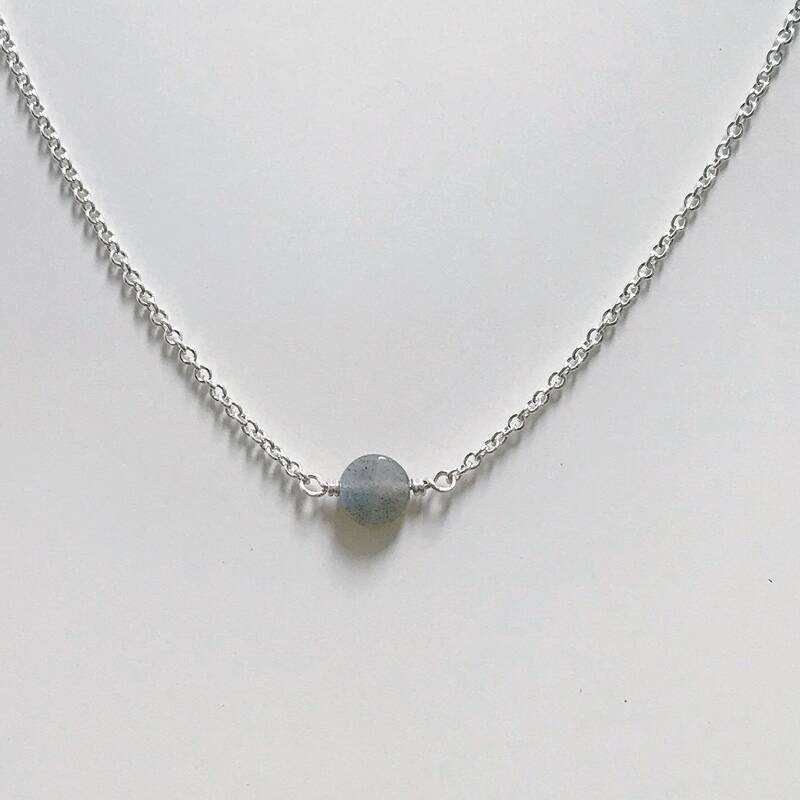 Labradorite bead hand wrapped in sterling silver wire. 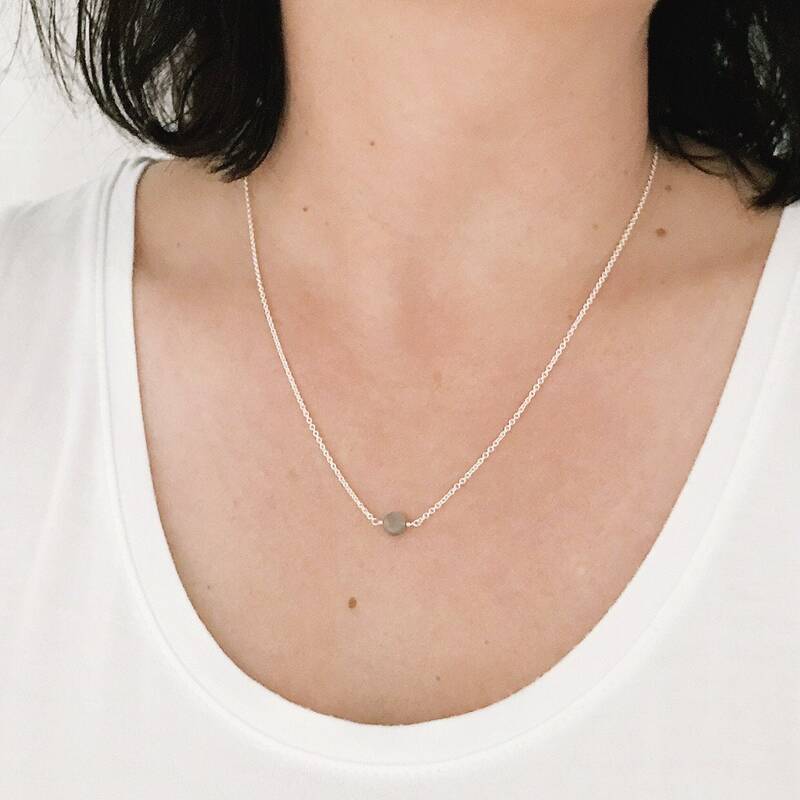 The faceted coin shaped bead measures 6mm. 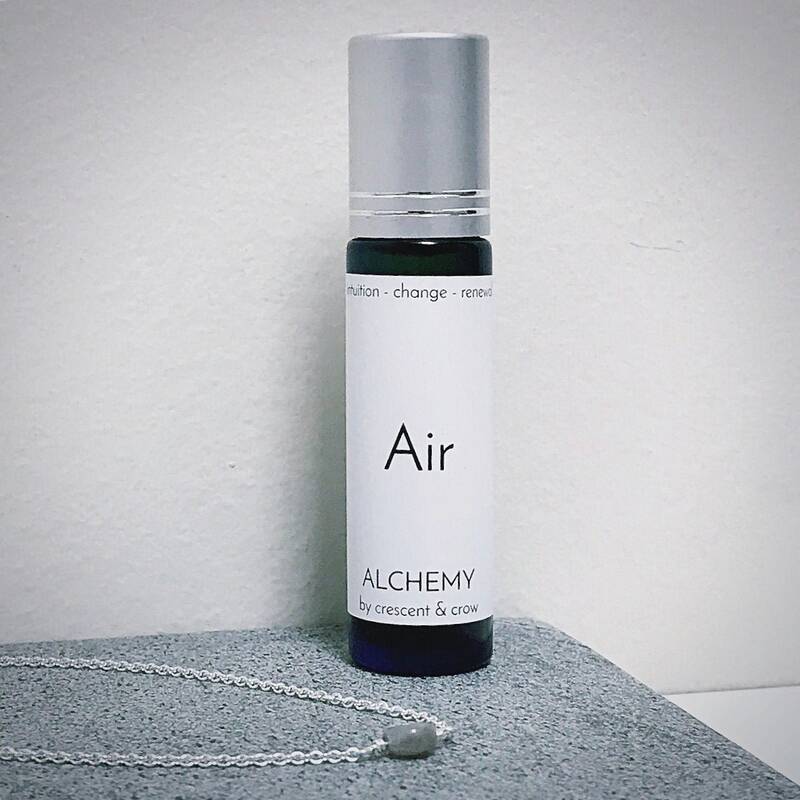 Benefits: Helps you connect to your intuition and expand your consciousness. 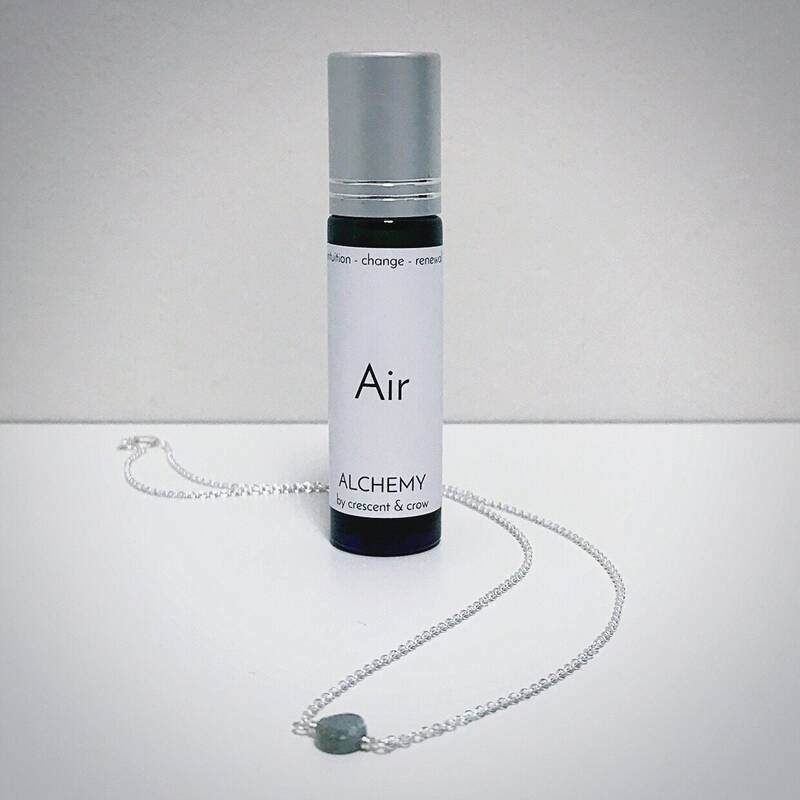 This set contains one labradorite necklace and one 10ml Air roll-on oil blend, packaged together in a velvet pouch.